Also known as the "First Lady of Waikiki", the Moana Surfrider is has been rebranded and refurbished, and is now the first Westin Resort on the island of Oahu. 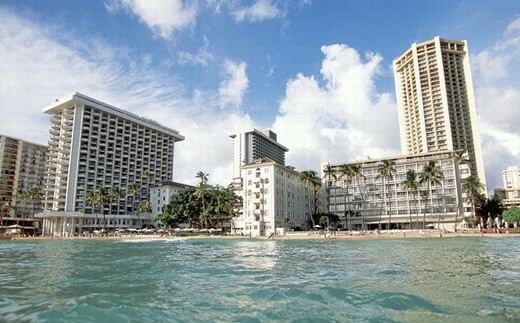 Waikiki`s first and only beachfront spa opened in the Moana in October 2008. The new state-of-the-art spa features 14 treatment rooms, including two couple`s massage rooms and a 1,400 square foot Westin WORKOUT fitness facility. The Spa features a gorgeous menu of treatments and services designed to pamper and invigorate the weariest of travelers. In the evening, guests can gather and unwind during Westin`s new slant on happy hour - "Unwind: A Westin Evening Ritual." The spacious courtyard, new outdoor tables, chairs and umbrellas in the updated beachfront Banyan Court will invite guests to relax under the shade of the hotel`s historic banyan tree, while the Moana`s signature Banyan Veranda restaurant is poised to launch a stylish, new concept and exciting menu.